Alright, so you have decided to buy an effective and efficient pressure washer – that's great! However, after spending time doing some research on what type of product you should buy, you may have run into a corner. There are so many products and types to choose from. Apart from that, perhaps the biggest conundrum when it comes to getting a pressure washer is whether to get an electric or a gas powered pressure washer. 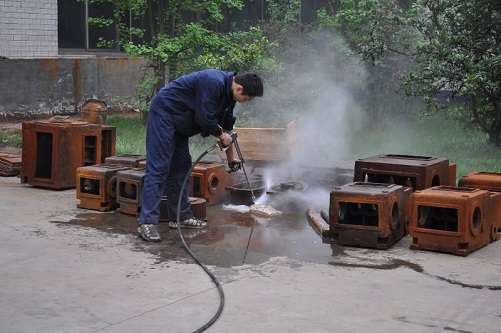 First, it is important to understand that both types of pressure washers are designed to do the same thing. They generate tremendous water pressure, which is good for cleaning anything you want. But what they differ is in terms of functionality and features. When it comes to the force generated by pressure washers, el﻿ectric pres﻿sure washers are designed to have a maximum limit of 1,500 PSI to 2,000 PSI. The main reason why they have this upper limit is because they are fitted with a small electric motor that generates 15 amps of power. However, despite the power generation of these motors, there are numerous types of electric motors you can select. For instance, you can buy an electric pressure washer that has an induction motor. Induction motors features a water-cooling mechanism as the water in the machine is thoroughly circulated throughout the engine before being sprayed out of the hose. Higher end model feature triplex plunger motor and axial cam pressure pumps. These are more expensive. Gas powered pressure washers will always rank higher in these regards. 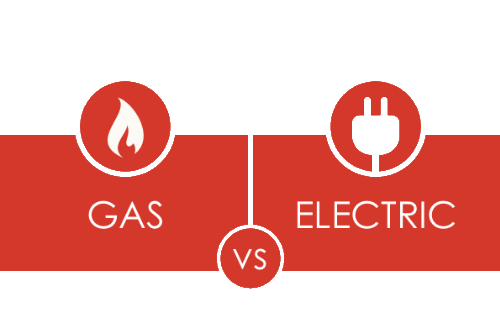 Even entry-level gas washers generate a higher force per square inch compared to a high-end electric pressure washer. 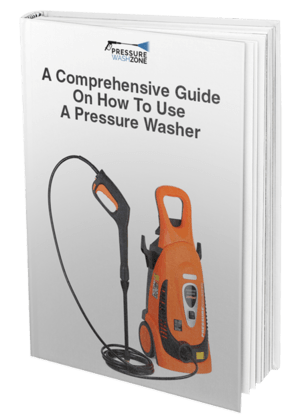 Gas washers are designed to generate a water pressure measuring 2,000 PSI to 3,000 PSI. Higher-end models are designed to produce 3,000 to 4,000 PSI. 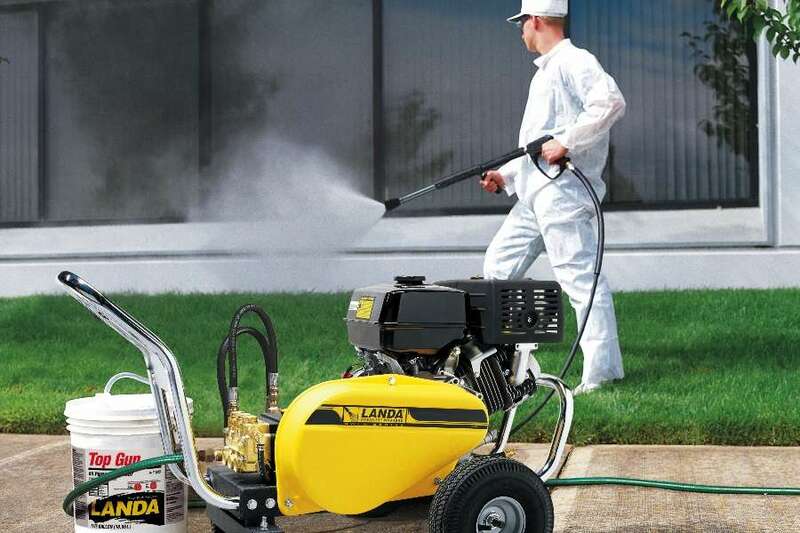 There are commercial grade gas pressure washers that produce up to 6,000 and 7,000 PSI! But these machines are manufactured for commercial applications. When it comes to gas vs. electric pressure washer and the flow of water, gas powered washers win again. 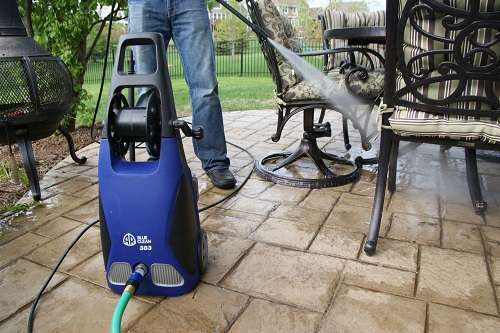 When talking about the pumping force of water, which is measured as Gallons per Minute, electric pressure washers have a GPM rate of 1.4 and 1.5, this is the upper limit. There aren’t many electric pressure washers that go higher than that. Gas washers have a GPM deliver exceeding 1.5. Higher end models deliver up to 2.5 to 4 GPM. This is because they come fitted with powerful, commercial-grade engine and heavy pumping systems. They are fused with brass components and have stainless steel power hoses. This is what primarily contributes to stronger flow of water. Electric pressure washers feature plastic and steel components. This is an important point. If you are looking for a pressure washer for indoor cleaning, opting for an electric washer is wiser. Why? Well that is because a gas-powered engine will create dangerous fumes. But a majority of people invest in pressure washers to clean the exterior of their house, for example, the garage, the driveway, patio furniture, concrete floors, metal roofs, etc. This is where selecting a clear victor gets tough. When it comes to ease of use and portability, electric washers take the cake. They are designed with perfect dimensions in terms of machine weight, ease of maintenance and practical utilization. These machines are easy to use and light to carry around. They are perfect for indoor cleaning because they do not generate harmful fumes. ​Electric washers are fitted with state of the art sound suppressing components. They are far quieter than gas pressure washers. ​Electric powered washers are perfect for light cleaning applications. They are simple to maintain. You can wash your car using one, wash your grill, your bathroom tiles, your kitchen floor, the patio furniture, and driveway, etc. Another pretty cool thing about electric pressure washers is the fact you have to simply plug in the device and start cleaning. You don’t need to power it using fuel or oil. Just plug in the cord and voila, instant cleaning. 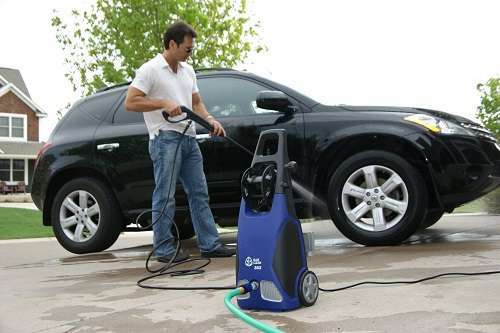 Electric pressure washers do come with a limiting factor that hinders their portability. That is they need to be constantly hooked with an electrical supply in order to function. You need to ensure you don’t accidently spray water near the electrical source. So, you may only be able go as far as the electric cord allows you to. Electric power washers are not nearly as powerful as their gas powered counterparts. When it comes to washing extremely thick layers of grim and tar, you may waste a lot of water cleaning it. In terms of durability, gas pressure washers are the clear victors. They are made of high quality brass and steel components. This means you will not have to replace major parts, like couplers. Electric pressure washers come fitted with plastic components and need to be replaced. Gas pressure washers are also the best when it comes to heavy-duty cleaning and sheer power. A majority of top-level products come built with Honda engines producing more than 3,000 PSI. ​Higher PSI models have commercial applications. But there are plenty of models that can be used at home as well. They are perfect for cleaning large patios and driveways. ​No electric power source required. Because they are gas powered you can take them along anywhere you want to clean the house. You don’t have to worry about the cord. These machines also come with treaded tires, giving them extreme durability. You can take them around any terrain you want. Gas pressure washers aren't as efficient when it comes to switching them on. Why? Well, that is because they are fitted with manual ignition starters. This works more or less like a generator where you have to pull the cord to start the engine. You will need to periodically change both oil and air filters. Gas pressure washers are heavier as compared to electric washers and require more storage space. All in all, it all boils down to preference and application. Electric pressure washers are good for light-duty cleaning while gas powered machines are perfect for heavy and independent cleaning.